What is September in Numerology? September is the 9 Month in Numerology. The 9 Vibration encourages us to complete projects and also take an inventory of what is happening in our lives. A good place to start is to look at your home. Are there things you are hanging on to that you no longer need? Perhaps you have clothes in your closet that you never wear or exercise equipment in your living room that you never use? This would be an ideal month to give the things you don’t use to your favorite charity. It will give you more space and make you feel good knowing that you are donating to help others. Are you happy with your current job? If not, then the 9 month is a good time to update your resume and submit it. If you are in a relationship that has made you unhappy for quite some time, you should consider the fact that there are many fish in the sea, and perhaps it is time to go fishing! 🙂 If you are married and have children, you may feel that leaving your marriage is not an option. If that is the case, then this is the month to go see a therapist together. Staying in what feels like a loveless marriage is not good for you or your children. The belief is that “a child may not listen, but they will surely imitate”. By getting counseling, you can actually heal your marriage and rekindle the love you once had, which would be good for the whole family. The month of 9 is one of my favorite months because it reminds me to just “get on with it.” After experiencing the challenging month of 7 (July), which was a month for introspection, and then the month of 8 (August), which encouraged us to look at the business side of life and our health, I see the month of 9 as a happier and more optimistic month. The fact that we are already in September really validates how much the World Number impacts our lives. In January, I did say that because the year 2012(2+0+1+2=5) breaks down to the number 5, it would be non-stop energy and make it difficult to keep up and get things done! Many of you have written me letting me know that you can’t believe how quickly this year has moved by and that the speed of it has actually been quite shocking. The only way you can harness the 5 vibration is to write down exactly what you want to accomplish before the year is over. By writing it down and making a mental note, it makes it possible to bring it to fruition. Look at this month of 9 as a wonderful opportunity to begin again and achieve some of your big goals before the year 2012 is over! 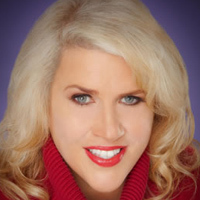 To find out more about Numerology and Numerologist Glynis McCants, please visit www.numberslady.com.